Overview... a good dog in a bad situation. When her owners head out for vacation, Lady is stuck trying to protect their baby from the house-sitter and her vicious cats. 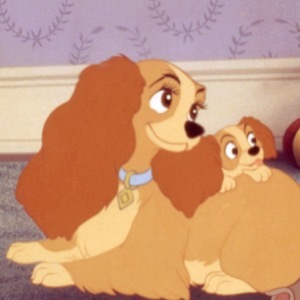 But with Aunt Sarah decidedly not a dog person, it's a hard task – and even harder once Lady finds herself on the street. 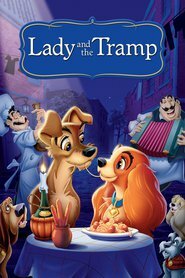 The hard-knock life isn't that bad, however, and with the luck of a new, very special friend named Tramp, Lady might be able to figure it all out. Personality... as ladylike as they come. Sweet and well-behaved, Lady might be a little snobby when it comes to choosing friends. But it's harder to find a more devoted dog than Lady when it comes to her friends, both canine and human. Lady's popularity ranking on CharacTour is #1323 out of 5,000+ characters. See our top-ranked characters and read their profiles.